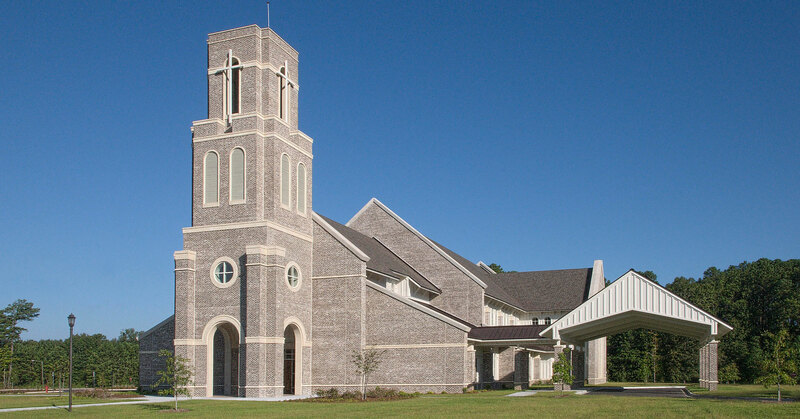 In keeping with the low-country design character, St. Anne was in need of additional space to accomodate their growing congregation. 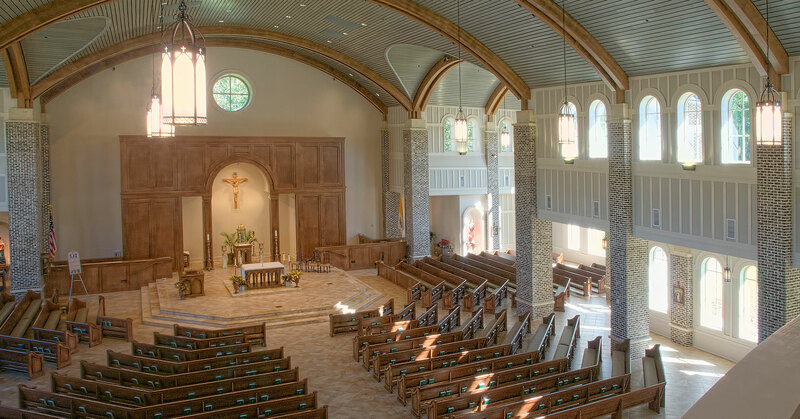 The new church is a traditional cruciform configuration and offers seating for 1,150 parishioners within 22,698 square feet. 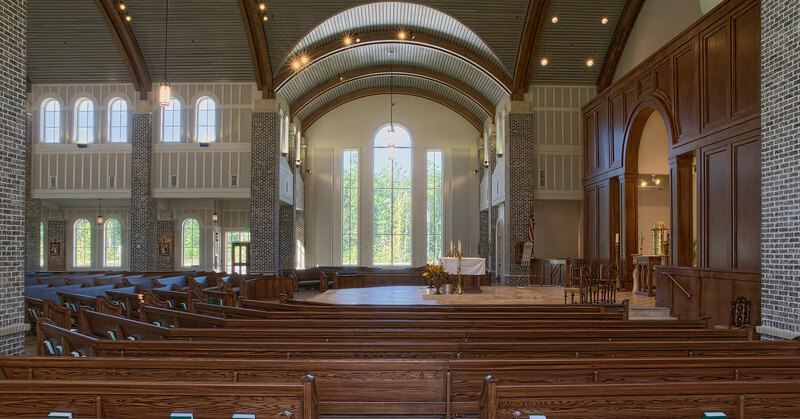 The interior showcases a traditional worship space with an entrance tower and two-sided entrance that allows the community to gather through a natural light-filled narthex. 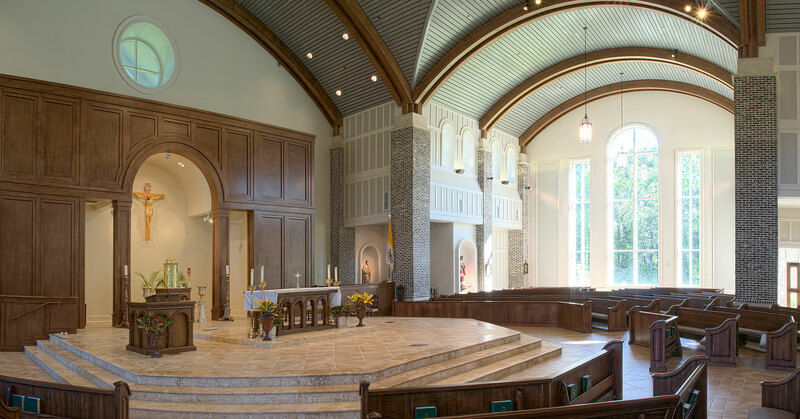 Acoustical elements were integrated into the overall design to showcase the spoken word and to celebrate music that resonates from the expansive choir loft. 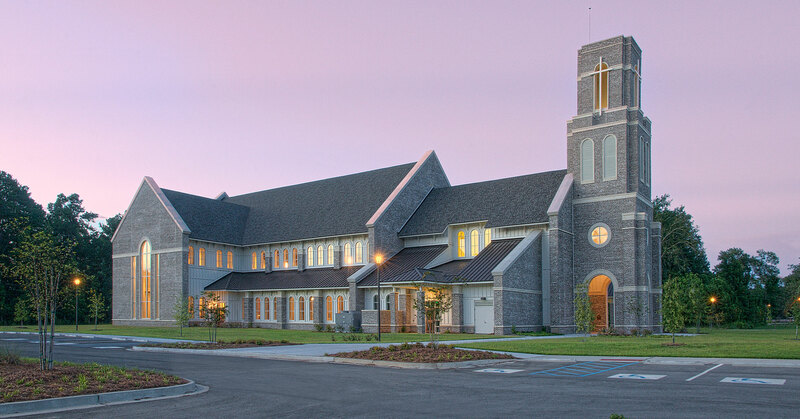 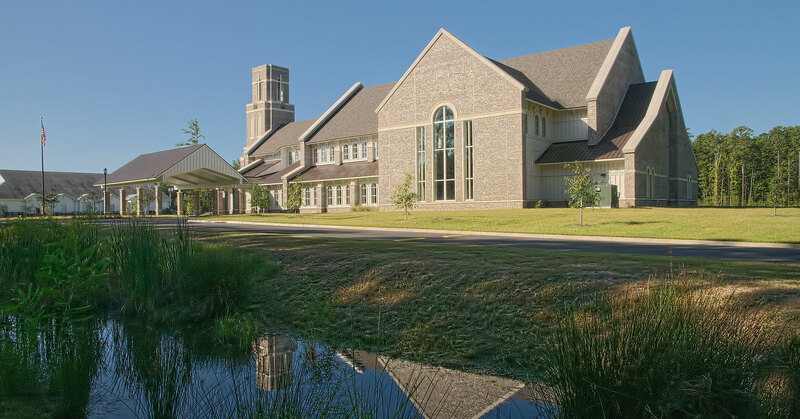 The exterior features a bell tower that serves as a beacon in the community while also reflecting the character of the parish and local community.